SIFF received 11 applications after clubs were informed to apply for the 8 places in the inaugural national soccer league. The clubs that applied were as follows: Marist, Koloale, KOSSA, Solomon Warriors, Makuru, Northern United, Central United and Hana from Honiara; Western United from Western Province, Sokamora from Makira Ulawa Province and Fasi Roos from Malaita Province. The clubs whose applications were accepted are as follows: Marist, Koloale, KOSSA, Solomon Warriors, Makuru, Hana, Western United and Fasi Roos. 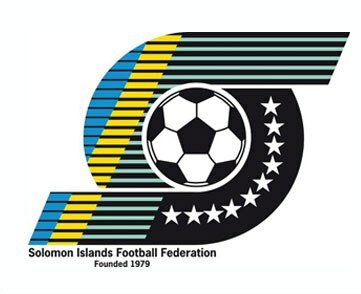 The following clubs are in the reserve list: Northern United, Central United and Sokamora. The NSL shall be managed by an 8-member executive board which is appointed by SIFF. The overall coordination of the NSL shall be done by the NSL manager which is to be a direct employee of SIFF. The NSL board may work with the SIFF Competitions and Media Office as well as other SIFF departments to facilitate the management and operations of the NSL. The NSL board shall report to the SIFF Executive Committee through the General Secretary on all activities that they conduct and on the use of monies associated with the NSL including any sponsorship. The NSL shall be played in 2 parts. The first part shall be a 2-round league in which each team has to play a minimum of 14 matches. The winner of the 2-round league shall collect a $150 000 prize money. After the completion of the 2-round league all clubs in the NSL shall proceed to the NSL championship which also has a $150 000 prize for the winning club. Qualification for the O-League shall be determined by a home-and-away series between the NSL league winner and the NSL championship winner. Should the same club win both the league and the championship it shall automatically qualify for the O-League and claim the sum prize of $300 000 from its 2 wins. The eight (8) clubs whose applications have been successful are informed that they need to sign the NSL license agreement with SIFF before their participation can be confirmed. The deadline for the signing of the NSL license agreement is January 15, 2011. They are also informed to collect the registration and other forms from the SIFF office which need to be filled in and returned by the dates specified in the documentation which accompanies these forms. Clubs are also required to pay $25 000 (fifty per cent of the registration fee) by January 24, 2011. If a club fails to meet these requirements then any of the clubs from the reserve list may replace them. The launching of the NSL will be held at SIFF Headquarters on Friday 4th February, 2011 and an international friendly match will be held to commemorate the launch on Saturday 5th February, 2011. The kick off of the first NSL match will be on Saturday 12th February, 2011. The fixtures shall be released after a draw following when the participating clubs have confirmed their participation by signing the license agreement. SIFF as the owner of the NSL also owns the naming right to the competition and, hereby, declares that the naming right for the 2010/11 NSL has been given to the major sponsor Our Telekom. The brand name of the NSL shall be announced after consultation with Our Telekom. SIFF hereby states that it owns all marketing and media rights in association with the NSL. No party shall endeavour to make a profit from any activity directly related to the NSL without written permission. This includes, but is not restricted to, the sale of merchandise related to the NSL competition and the sale of products within a competition venue. All media organisations shall apply for accreditation to NSL competition matches via the SIFF Media Office. The SIFF Media Office shall prepare and issue application forms to registered media organisations.